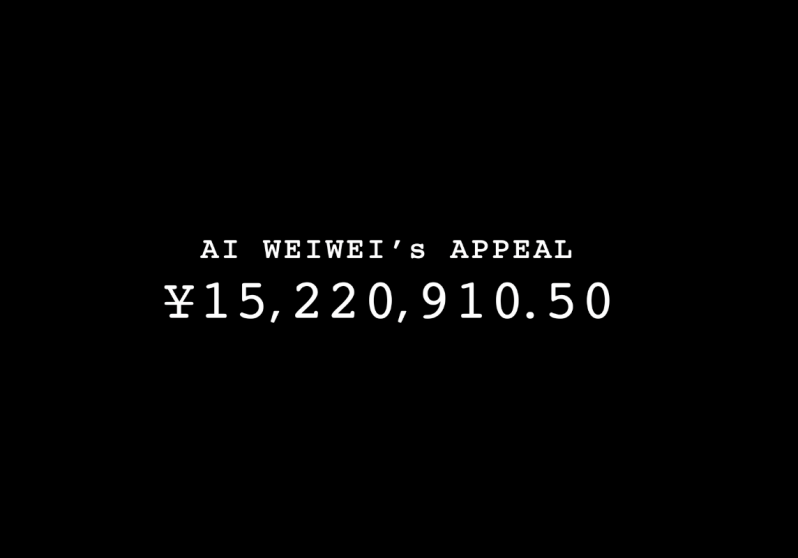 Ai Weiwei’s Appeal ¥15,220,910.50 starts with the opening of the Venice Biennale in the summer of 2013. The mother of the Chinese conceptual artist, political activist, philosopher, architect, photographer and filmmaker shuffles around in the middle of his enormous installation S.A.C.R.E.D., an overwhelming portrayal of his imprisonment. Then the film jumps back to March 2011: Chinese police raid the Ai Weiwei studio for suspected tax evasion. Ai Weiwei repeatedly debates with the authorities, albeit calmly and courteously. Cameras are rolling everywhere. What follows is an extremely precise, chronological reconstruction of all the events in between… from Ai’s arrest at Beijing Airport in April 2011, countless exhibition openings in the most prestigious art centres all over the world, which Ai cannot attend, and continual intimidation by the authorities. With news reports, newspaper clippings, interviews and excerpts from the court case.